If you’re responsible for the management of trees in a commercial premises, you have certain responsibilities to avoid foreseeable harm. This often means you’re best to call in the professionals to ensure your trees are regularly inspected and any necessary remedial work is carried out. 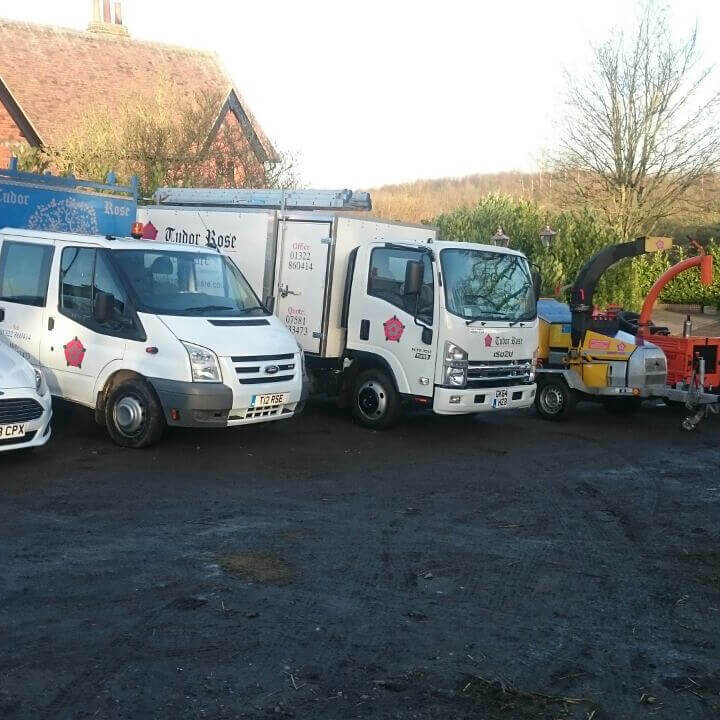 At Tudor Rose Tree Care, we deliver tree care services for a wide spectrum of commercial customers, ranging from landlords and letting agents to local authorities and housing associations, from churches and office buildings to housing associations and care home chains. Whatever the size of your external space and the scale of your tree management, our services are tailored to you. At Tudor Rose Tree Care, we combine an outstanding level of workmanship with the highest standards of customer service. We specialise in bringing a fresh lease of life to your grounds. We have established ourselves as the leading tree care and tree surgery service in Kent. Our extensive range of services covers everything from crown reduction and thinning through to tree surgery and hedge trimming. visit, leaving you with a site to be proud of. Tudor Rose are NPTC qualified tree surgeons, receiving full health and safety training and approval, giving you total peace of mind. We understand the inherent risks of our work and take every precaution to ensure the safety of both ourselves and those around us. In the unlikely event of an accident occurring, we are fully covered by our public liability insurance. As fully qualified Arborists, and working alongside a team of health and safety advisors, you can have total peace of mind that we will fell your tree in accordance with the latest official regulations. We are CHAS Accredited Contractors and Safe Contractor Approved. 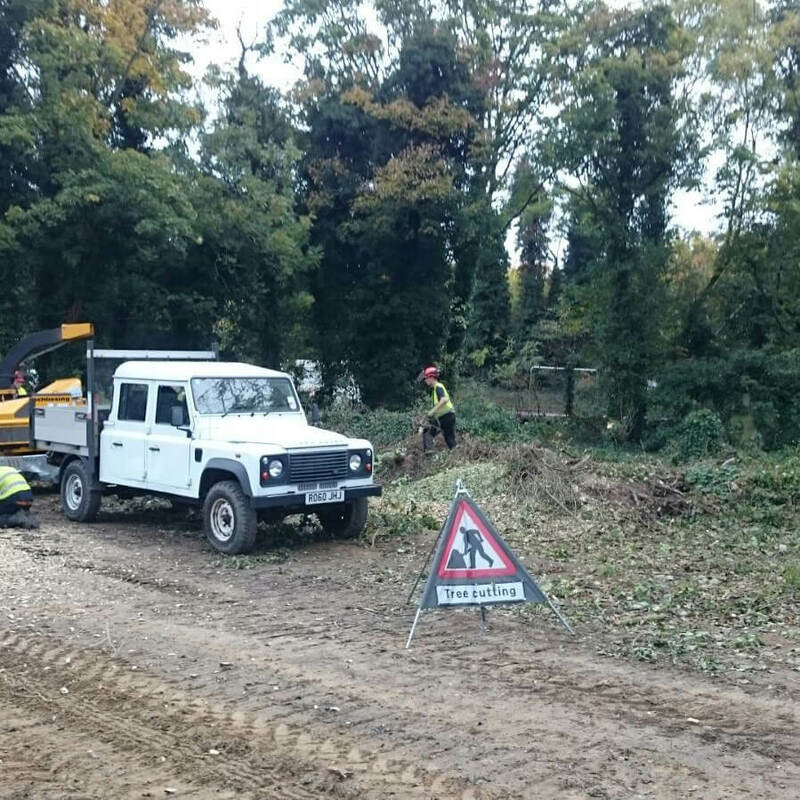 We believe that how we leave a project is as important as the work we do, so when a job is done, we always ensure you are completely happy with the state of the site. Tudor Rose prides ourselves on our reputation so we will always go the extra mile the job is completed to the best possible standard; no corners cut and no shortcuts taken. If you want an experienced Arborist with a passion for excellence then look no further than Tudor Rose. To find out more about our professional and amazingly affordable tree care services, just give us a call and we will tailor a package to meet all your requirements. A vital element of keeping on top of your duties as a commercial premises manager is to ensure your trees are inspected regularly. That way, any issues that could arise to your trees’ health or the safety of your clients and the public can be identified early, with appropriate action taken. Our professionally qualified team will inspect and survey the trees on your property, before providing a report and advice around any action you need to take. Tudor Rose Tree Care are experts in keeping your garden looking at its best, and as part of this, we provide our commercial customers with professional hedge trimming services. There’s no job too big, and none too small, from large hedge rows at a stately home or one hedge in a back garden of a landlord’s rented property. If you are looking for a professional, affordable hedge trimming service then Tudor Rose Tree Care is the company for you. We also carry out garden maintenance and clearance for our commercial clients. Allow us to manage your grounds throughout the year with monthly maintenance. Keep your site safe and looking its best without having to lift a finger. Like anything else, routine maintenance makes a big difference. Tree crown reduction involves removing the top canopy of the tree. This can serve to allow more light into your garden or property, but is also ideal for reducing the risk of a tree interfering with overhead cables. Land owners have a reasonability to ensure that their property does not pose a risk to others, such as risk of falling branches. A tree survey will highlight which trees may need remedial work to make them safe. This involves removingselected branches (dead, weak or overlapping), from the crown of the tree. This improves the verall balance and structure of the tree as well as letting more light through the branches. At Tudor Rose we are experts in tree felling. Tree felling is the process of cutting a tree from the base using wedges to fell the tree in one piece. This is not recommended for trees in confined space, instead, we would use sectional dismantling. 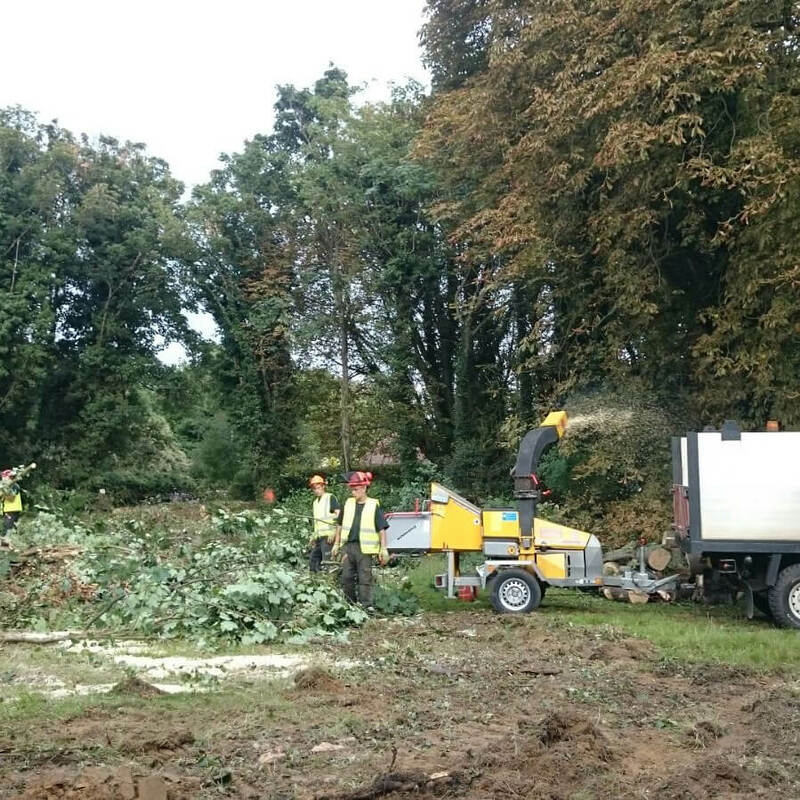 Tudor Rose provides an affordable, reliable clearance service for your grounds, such as removing fallen leaves and other debris. We can maintain your lawns on a regular basis to keep them looking tidy, fresh, and inviting to your visitors. Stumps are an important part of the tree removal process. If a stump is left after a tree is felled, it is almost certain to develop fungal root rots and suckering root rots. This can cause extensive damage to the surrounding area. Even if a stump is dead, it can still cause root diseases. Tree topping is where whole tops of trees or large branches/trunks are removed from the tops of trees. Tree topping achieves three things: safety, aesthetics, and also stimulates new growth. Tree pollarding is a pruning system that removes the upper branches to promote a dense head of foliage and branches. Tudor Rose are experts in keeping your grounds looking their best, and as part of this, we provide our customers with professional hedge trimming services. There’s no job too big, and none too small. If you are looking for a professional, affordable hedge trimming service then Tudor Rose are the company for you. Pruning the upper branches to ensure your tree’s foliage remains dense. Removing the top canopy of the tree to encourage healthy growth. Professionally extracting the stump of a felled or dismantled tree. Mechanically grinding left-behind tree stumps. Either by hand or using excavation machinery.